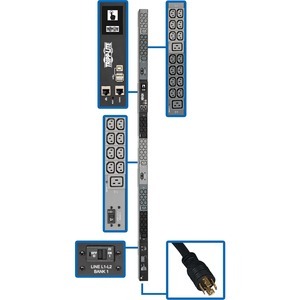 The PDU3EVN10L2130B 10kW 3-Phase Monitored PDU provides real-time remote monitoring of voltage, frequency and load levels via built-in network connection. 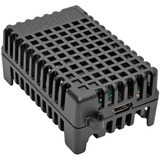 By reducing the frequency of on-site visits, these advanced remote capabilities can save you money and reduce downtime. 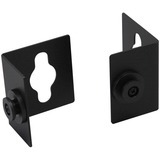 Recommended for your IT or industrial application, the monitored PDU features 48 outlets-42 C13, 6 C19-with included plug-lock insert sleeves to prevent cables from becoming accidentally disconnected. 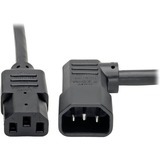 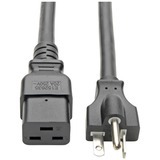 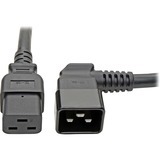 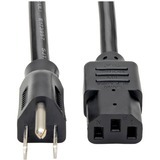 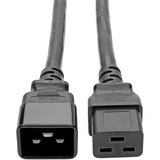 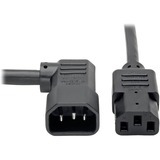 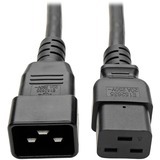 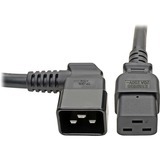 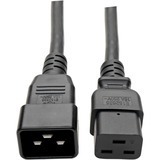 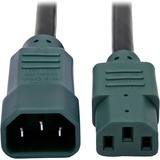 A 10-foot cord with NEMA L21-30P input plug connects the 3-phase PDU to a compatible AC power source, generator or protected UPS. 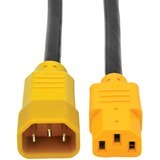 The built-in Java-free HTML5-based LX Platform network interface enables full remote access for PDU status monitoring and email notifications via secure web browser, SNMP, telnet or SSH. It supports 10/100 Mbps auto-sensing for optimum communication with an Ethernet network. 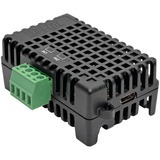 Optional EnviroSense2 modules (sold separately) provide a variety of environmental monitoring capabilities. 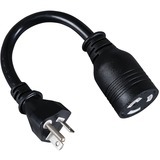 Protocols supported include IPv4, IPv6, HTTP, HTTPS, SMTP, SNMPv1, SNMPv2, SNMPv3, telnet, SSH, FTP, DHCP and NTP. 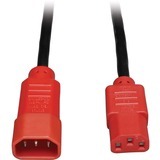 A color touchscreen LCD lets you toggle between menus to monitor input current level per phase and output current per load bank with ±1% billing-grade accuracy, environmental sensor data and network information. 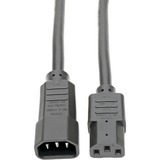 It also generates a unique QR code to allow access to the PDU through a mobile device.